IN LIFE Pat Finucane used his fine-tuned legal brain to protect those arrested and held in detention from ill-treatment during interrogation. He defended those who found themselves in court facing a judicial system which was politically manipulated to the point where the accused was presumed guilty, not innocent. 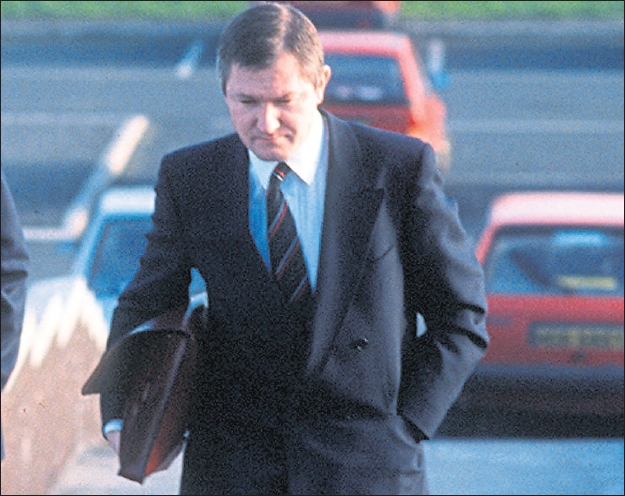 Pat Finucane championed the rights of the accused and families grievously wronged by the state in controversial killings and used his formidable legal experience to curtail the excesses of the prosecution services. He was fearless against a background of death threats from loyalists. Pat’s name was actually given to loyalists who were themselves being questioned by the RUC about serious crime. He became a symbol of hope – a beacon of light in an era of darkness when detainees were tortured and when miscarriages of justice were routinely practised. His assassination 26 years ago last Thursday by loyalists acting in concert with British intelligence agencies was designed to terrorise solicitors or anyone else from challenging state-sponsored human rights abuses. His memory and his advocacy and the circumstances of his death are as potent today in terms of their implications for society as they were when he was alive. And his example has inspired other lawyers to become human rights advocates for families seeking the truth about the killing of a loved one. For many Pat Finucane is their role model. Every week we see evidence of this as solicitors battle for truth in the coroners’ courts for the families whose loved ones were killed by loyalists in collusion with state forces. The most recent example is that of Sean Brown from Bellaghy whose inquest has been deliberately delayed by the refusal of the police to disclose essential material – a delay which is undermining attempts to develop levels of confidence in a new policing dispensation. But it is not just Pat Finucane’s legal legacy and the manner of his killing that has kept alive the issues of truth, collusion and human rights. The heroic stance of his wife Geraldine in the campaign for justice for almost three decades has ensured that the British government remains in the world dock accused of statesponsored killings through collusion with loyalist death squads. At a conference organised by the Relatives for Justice to mark Pat Finucane’s killing Geraldine told a large crowd that during the last 26 years of searching for the truth she has never been given a “final answer”. She has faced nothing but “more and more questions” about the killing which have yet to be answered. She told the audience that until she receives satisfactory answers, “I have no intention of stopping”. The circumstances surrounding Pat Finucane’s killing; the cover-up; the refusal by successive British government’s to allow and participate in a public independent inquiry into the killing (despite assurances that they would accept Judge Corey’s recommendations to do so) were scrutinised at the conference by an academic, Professor Mark McGovern, by the award winning journalist John Ware and Pat’s close friend and legal partner Peter Madden. From these three different professional and experienced perspectives they explored the scale of collusion. The facts are irrefutable, appalling and astonishing. Three loyalists directly involved in the killing were state agents; also an agent used files given to him by the British Army and RUC Special Branch to target Pat Finucane; the gun used in the shooting was a UDR-issued weapon. Furthermore following a private briefing by the chief constable of the RUC and the head of the Special Branch, a member of the British cabinet publicly accused solicitors as being “unduly sympathetic” to the IRA. Collusion, they said, was systemic and institutional and operated inside what Mark McGovern called a “culture” carefully fostered at the highest political and military levels on the basis that its existence could be easily denied. Peter Madden forensically dismantled the de Silva report which reviewed collusion into the solicitor’s killing and tried to undermine the established and compelling evidence which led David Cameron to describe the assassination as involving “shocking levels of collusion”. John Ware said the many unanswered questions about the killing of Pat Finucane could only be found in an independent public inquiry. Something the British government steadfastly fears.